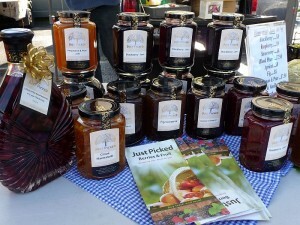 For details of local marmalade and jam makers, see the relevant part of the Local Food Directory. 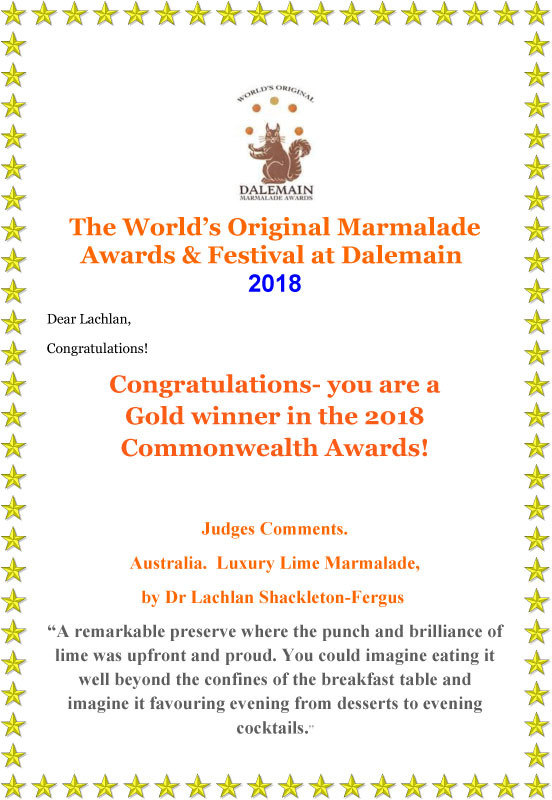 In addition, they won silver medals for their Tahiti Lime and Sweet Orange marmalades, and bronze medals for some of their other marmalades. Their Breakfast, Tahiti Lime, Tangelo and Grapefruit marmalades had previously won gold medals in 2012, 2014, 2015 and 2017. 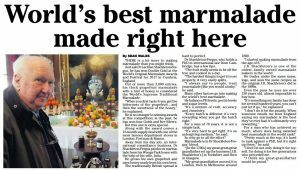 And their Orange with Grand Marnier marmalade, Cumquat marmalade, Lemon jelly and Orange won silver medals in 2014, 2015, 2016 and 2017. 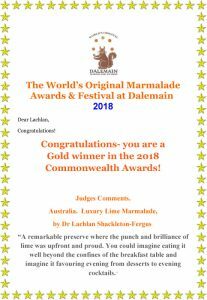 In 2017, they were named ‘World’s Supreme Traditional Marmalade Maker 2017’. 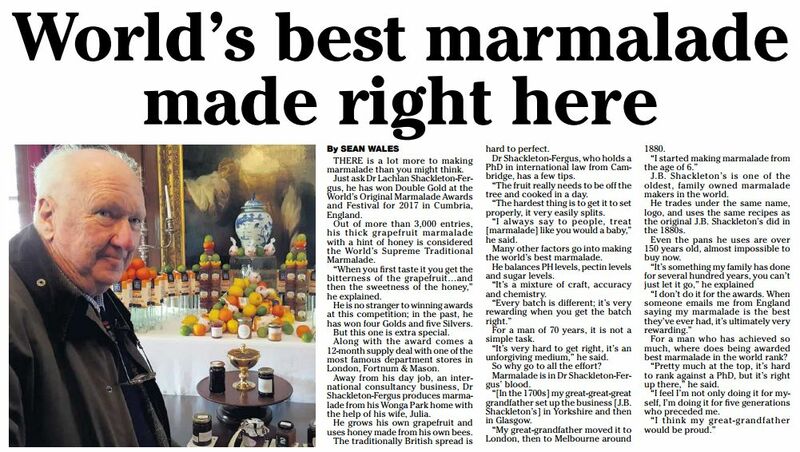 We have tasted many of their marmalades and they really are yummy. Click on the left pictures below to read an article in the Warrandyte Diary following their 2017 wins, or the right hand picture to to read an article following their 2015 wins. Want to try some of their marmalade? 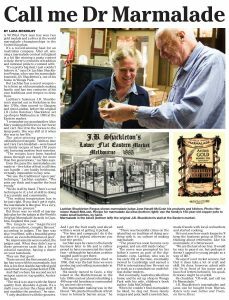 If so, it is available at the following local shops: Balgownie Estate, Yarra Glen; Bee Sustainable, Brunswick; De Bortoli Wines, Dixons Creek; East Ivanhoe Grocers; Foodworks, East Ivanhoe; Foodworks, Wonga Park; Metropolitan Foods, Templestowe; Oakridge Wines, Coldstream; and The Post Office, Wonga Park. Australian Harvest / Bio Grape from Coldstream. Eastaway Food Products from Macleod. Just Picked from Yan Yean. Kookaberry Strawberry Farm from Wandin. More Than A Mouthful from Surrey Hills. Steffen’s Fine Foods from Eltham North. Weeping Grevillea Nursery from Kangaroo Ground. Yarra Valley Gourmet Foods from Mt Evelyn.